A red card to Keanu Baccus set the scene for Melbourne City to claim a very late 4-3 winner against the Wanderers tonight. With Kwame Yeboah out through injury, and Oriol Riera only fit enough to make the bench, it was Abraham Majok who lead the line for the Wanderers, but the opening stages of the game it was the defence making the headlines. Just 30 seconds into the match Keanu Baccus made a horrible mess out of what should have been a simple gaining of possession. After he & Tarek Elrich failed to bring the ball down, Riley McGree came in on the blind side of the young midfielder, Baccus reached for a back pass to Nick Suman, only for the horribly weighted ball to end up in the path of Ritchie De Laet who stepped around the stranded Suman to finish into an empty net. The Wanderers equalised on the half-hour mark through Roly Bonevacia. He stepped up to the penalty spot when Curtis Good knocked Jaushua Sotirio to the ground, a very soft but ultimately technically fine decision, and one that was upheld by the VAR. Bonevacia's stutter step run-up caused Eugene Galekovic to make his move too early, and Roly fired it into the netting on the opposite side. Parity did not last for very long. 6 minutes before half-time Luke Brattan launched an extra-ordinary blast, after nutmegging Nick Fitzgerald, Brattan took a single touch then fired rocket into the top corner. After having an average first half in defence, Tass Mourdoukoutas stepped up on the attack to bring the Wanderers back level. O'Doherty picked up the ball wide on the edge of the penalty area, and with the City penalty area packed after the preceding corner, O'Doherty whipped a cross to the back stick, that Mourdoukoutas rose highest for and headed home for his first A-League goal. Western Sydney had an incredible 3-2 lead in the 54th minute. Roly Bonevacia found Jaushua Sotirio on the edge of the area in an acre of space, the flying winger lined up a strike, curling the ball into the top corner giving Galekovic no chance. Keanu Baccus put his side's position in real doubt with a moment of madness, after a midfield battle for a bouncing ball, Baccus forlornly chased through to the City defence, then hammered his opponent with a silly lunge. The official had no hesitation to produce a yellow card, and after being booked earlier in the game in a melee following the Sotirio goal, he was given the inevitable red card. Melbourne City went in search of an equaliser of their own, and had a golden chance when Lachlan Wales was played in on goal. With a shot on goal seemingly a certain thing, Mourdoukoutas added a goal saving tackle to his goal scoring feat, cleanly cutting the ball out from the feet of Wales for a corner. City found their 3rd goal in the 86th minute, De Laet picking up a brace when he picked up the ball on the edge of the area, and managed to squeeze out an angle to shoot through Mourdoukoutas, and shot past Suman at the far post. With the game drawing to a close, a siege of the Wanderers penalty area began as City sought out a seemingly inevitable winner, and inevitable it was. The abysmal set piece defending of the Wanderers once again failing at the worst moment. Winning a corner, City launched it into the penalty area in the 94th minute, Bart Schenkeveld was left completely unmarked and he rose and scored the winner with an unerring header. Another game, another failure to see out a win. Baccus has once again put his side under immense pressure with idiotic red cards, and despite scoring one stunning goal, Sotirio butchered two more chances after being put through one on one with the keeper. Babbel has yet to correct the ongoing failure of the team to defend set pieces. With two days rest they will face Brisbane Roar and could drop to 9th if they lose. 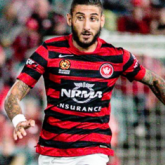 The Wanderers face Brisbane Roar in Brisbane on Friday the 25th. I'm a fan of Baccus Jnr....but FMD he isn't doing himself or the team any favours with his constant fouls and reds.. Time for a rest methinks. For all his pedigree as a defensive player Babbel,as a manager is having problems translating that skill to his players. A record losing streak for the club and the season is only just past the halfway mark. Not a good sign. Read on another forum from a Roar fan that Lucas should have given Keanu a stern talking to rather than award the 2nd yellow. It was a tackle that definitely strayed into yellow card territory. He got a stupid first yellow for the melee and then a stupid 2nd. Dumb dumb dumb. I'm a fan of Baccus Jnr....but FMD he isn't doing himself or the team any favours with his constant fouls and reds.. Time for a rest methinks. That will be against Brisbane. Typical for a DM to chalk up yellows with professional fouls. But when he's on a yellow, he shouldn't go as hard. Can't complain.....nowhere near the ball and studs onto the foot of the oppositon player. 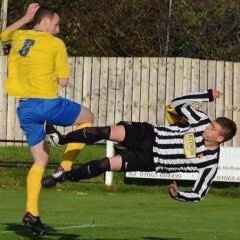 Baccus was lucky it wasn't a straight red imo. He is over the ball striking with a fair bit of force. TBH not too disappointed....seeing the lineup before the game I expected a loss. After going down in the first 30 sec I was expecting a trashing. I started to hope in the second half but as soon as Buccus was sent off it was all over....knew there and then it's another loss. Season has been over for a few weeks now so if this helps blood the new kids than I guess we can get something from the remaining games. For me there was nothing soft about the second yellow. Both cards totally avoidable. Plenty of time to pull out of the challenge for the second. Thats a yellow card regardless he was on one or not. He's a young talented player but he needs to grow a brain, he's played 31 games already and he's been sent off 3 times. Before the game I wouldn't have been so concerned about a narrow loss. But when they get ahead and looking promising it is so disappointing when they drop the ball at the end. Yeah, as much as it stings to lose again, have to remember that half the team are youngsters, and most of our best players aren't even in the starting 11. For our youngsters to hold the lead till the 84th minute isn't bad. We just need more experienced heads for the team to hold on until the 94th minute. Baccus is a player we just can't afford. Potentially going a man down all the time is a killer. A clean out coming up. Some excellent kids though. One big big marquee needed. Baccus should be let go now give him to City with his brother and lets get a fair dinkum decent defending midfielder. how many times tonight did we see a player coming from behind us and stealing the ball, no one is bloody talking , basic football. how a strong DM with a football head would help us so much , Come on Wanderers lets go get some one. I gotta say , had Baccus stayed on the park we were big chance of stealing that game and that says a lot for our kids. Give them some guidance on the park for goodness sake 1 player is all we need to shore up the defense , Tate (you know who) and Zeigler will do me at CB's for next season. Why we have to be this bad, a football club been destroyed,they all need to be replaced coaches and players. Destroyed might be excessive. We knew from the outset of the season this squad was WELL below par. Thats probably the end of my appreciation for Baccus. He’s left us stranded too many times in his short career. No where near enough talent to take the risks he does. He will most definitely get himself a third suspension for accumulation before the card reset. Absolutely unacceptable. Actually he missed two 1 on 1's... Isn't that 2 great goals he has scored with his left foot now? Maybe he is actually left footed and doesn't even know? What’s the record for a team losing 4-3 in a season? We might as well collect the whole set as a record breaking club. I was talked into coming to Melbourne for this game - a few days away... I was wondering why through yesterday whenI realised who would be on the pitch and especially after our last effort against City. We were very pleased with how the boys did. They put it in and really gave everything. Being at AAMI and close to the action (unlike SOP) you could see and hear the effort. Elrich constantly shouting to the defenders. Everyone worked their guts out and 5 of our players had less combined HAL experience than most of the individuals on City's team. We were shorter and smaller by a mile. It was a credit that we didn't concede off more set pieces because they were head and shoulders above our boys (except Tass and Majok). If that City team are genuine 4th place then our NYL team plus a few squaddies were better for most of the match in terms of effort and pushing then they were. Baccus is a worry. My problem with the 2nd yellow was that he was on a yellow. I wanted to see that earlier and harder. If he'd done the job right then the arrogant piece of work (Shenken...) would not hav ebeen on the park to score the last goal. Suman was way to slow off the mark to stop the firt goal - he seemed to watch de Laet and then react too late (it was a shocking pass). The boys really defended well for much of that last half but size, speed, experience and pressure lost the game. Take out de Laet and City would not have won. It was a really, really good effort by a team who are so weighed down by injuries and despite losing they were good. The future is bright - even if the present is grim. I would also have liked for our boys to niggle Baccus and get him to lash out. We really do need an experienced, big and commanding DM. That would ahve bene a big difference last night. everyone has already said everything, its not even a surprise anymore, watching on the couch I said to the missus when we were 3-2 up now how we going to **** it up this week and sure enough less than 3mins later bang second yellow - fully deserved no complaints, to be truthful he looks like he will be sent off most weeks, good player tho so not sure what we do with him. Think the Suman experiment is put to bed now as well, Janjetovic is a senior keeper and would of dominated the air a bit bitter from those corners when we were under pressure there. hopefully his few weeks off trigger him into not being a dumb **** as there is pressure on him. We should of expected to concede plenty with no Ziegler, Hammill or Risdon and having to play Llorente and Elrich at the same time, they are so slow it's embarrassing. Consider as well as those defenders out we also have ABJ, Riera, Teboah out and there's plenty of our salary cap sitting in the stands. Roly went well but he was just a shandy away from being sent off as well and up front Sotirio might of scored a worldie but he also had two one on ones that could of put us out of reach and missed both times. Massive positives also with Tass, Tate, Majok all showed plenty as well. Disappointed but to be fair we never looked like we were going to hold on, dont worry about sacking Babbell the way those Pressers are going he might just pack up and go home anyway, poor **** looked beat up. Regardless of discussions about quality...mentally this group of players are shot. If by some miracle we went 5-0 up in an opening 20mins they would not win the game. They cannot do the simple basics right and look terrified if they are in front...its all wrong right through the team from back to front. The kids that are coming through righr now will be scared for life by this shyte.